Plant medicines and psychedelic healing are getting serious attention from many quarters of the mainstream these days. Michael Pollan’s book How to Change Your Mind has been on the New York Times bestseller list for nine weeks. Ayelet Waldman is microdosing and having A Really Good Day, and rom-com audiences have been subjected to Ben Stiller’s laughable-yet-so-not-funny Ayuhuasca trip in While We’re Young. The Los Angeles Psychedelic Science Symposium aimed to make LA the center of the new psychedelic medicine awakening. 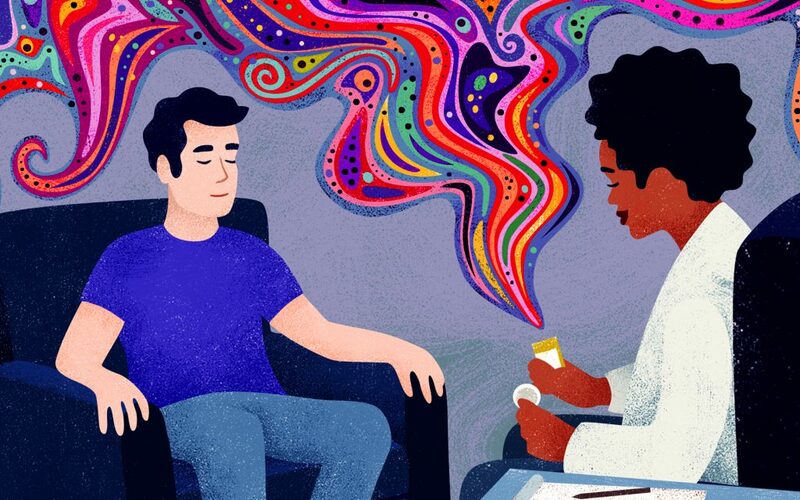 More significantly, next month, the American Psychological Association will host a panel on “Psychedelics and Psychology” at its annual convention, the first of its kind in the organization’s history. Tripping balls is becoming legit. A smorgasbord of doctors, shamans, veterans, academics, psychonauts, and therapists gathered last month at UCLA to talk about psychedelic drugs and their potential to save humanity from itself. This was the Los Angeles Psychedelic Science Symposium (LAPSS), the first conference of its kind to be held in a major Los Angeles academic institution. Its mission: to make Los Angeles a hub of psychedelic information and research, and spread the word about the healing powers of psychedelics. To that end, the event brought together rock stars of the entheogenic world, including Dennis McKenna, James Fadiman, Gabor Maté, and James Oroc, with lesser-known researchers, therapists, and everyday people whose lives have been saved by Schedule 1 drugs. 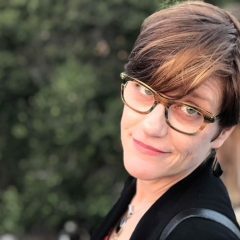 The goal of the Los Angeles Psychedelic Science Symposium, according to event coordinator Wallis Back, was to provide opportunities for the world’s leading experts in the field of psychedelic science to educate a diverse audience with current evidence-based research, in addition to medicinal and therapeutic applications. The history of psychedelics in America is complicated, but essentially has two arcs. The first began in the 1950s, with the flowering of psychedelic research and cultural acceptance. 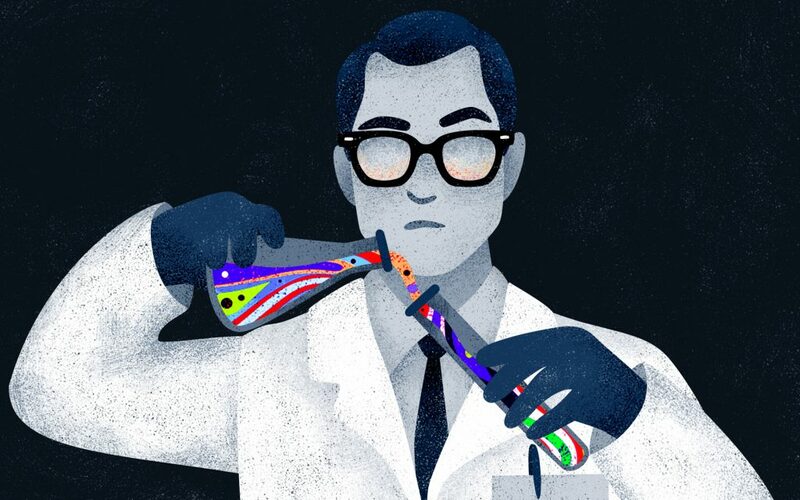 Major LSD studies were conducted at Harvard and Stanford, more than a thousand research papers were published, international conferences seriously discussed the clinical use of psychedelic drugs. CBS even ran a glowing special report on the promise of LSD. But then Timothy Leary, the Harvard-researcher-turned-counterculture-clown, started flinging tabs of acid around like rice at a wedding and ruined it for everyone. Some people had bad trips and got hurt. President Nixon declared Timothy Leary “the most dangerous man in America.” By 1970, psychedelics had been categorized as Schedule 1 drugs (determined to have no accepted medical use and a high potential for abuse) by the DEA, and federal funding for research was withdrawn. Scientists who were just figuring out how powerful and useful psychedelics really were had to either give up their research or do it in secret. The Canadian physician and author addresses the attractions of psychedelics and the problems of trauma and addiction in this 2016 talk. Psychedelics went underground but did not go away. In the meantime, other parts of the landscape shifted: Globalism and the internet brought indigenous plant medicines like ayuhuasca, iboga, peyote and DMT to Western attention. Those drugs have been percolating through American psychedelic culture for about a decade, creating converts in their wake. Psychedelics have extraordinary efficacy in treating the illnesses that currently plague America: trauma, addiction, depression, anxiety. Perhaps most significantly, the conversation about medicinal psychedelics is now taking place because a space has been opened for it through the mainstream acceptance of cannabis as a legal and legitimate medicine. Forty years after going underground, the conversation around psychedelics is coming back into the open. Organizations like the Los Angeles Medicinal Plant Society (LAMPS), and the Multidisciplinary Association for Psychedelic Studies (MAPS), which co-hosted the Los Angeles conference, kept the lights on through the long, psychedelic dark age—and now are helping bring research and knowledge to thousands of interested clinicians and patients. All of this comes not a moment too soon. Studies show that psychedelics have extraordinary efficacy in treating the illnesses that currently plague America: trauma, addiction, depression, anxiety, isolation, disaffection, and crippling fear of death. Psychedelics both attract and create people who are rule-breakers, folks given to wearing hemp clothing and face studs. Anthony Bossis, a doctor who has overseen psilocybin trials with terminal cancer patients at NYU, reported that subjects in his study all experienced significant relief from depression and lessened anxiety about death. Patients in Bosses’s care were able to transcend their fear of mortality, increase their sense of purpose, and deepen their connections with friends and loved ones, he said. He offered the LAPSS audience a flurry of graphs and brain scan graphics to prove his point, but he was preaching to the converted. At one point someone asked the audience for a show of hands of those who had tried a hallucinogen. Too many hands went up to count, so the question was rephrased: Who in the audience hadn’t taken entheogens? In a room of close to 500 souls, fewer than 20 hands went into the air. Dr. Anthony Bossis, above, gives a TedX talk about the use of psychedelics to treat patients struggling with depression and anxiety. The LAPSS tone was decidedly non-Mickey Mouse. The conference offered serious talks on everything from MDMA-assisted psychotherapy for PTSD, to psychedelics and autoimmune conditions, to a panel called “The Moderating Effect of Psychedelics on the Prospective Relationship Between Prescription Opioid Use and Suicidality Among Marginalized Women.” We’ve come a long way from the Merry Pranksters. For all its seriousness, there was also a festive, slightly renegade feeling to the weekend. Psychedelics both attract and create people who are rule-breakers, folks given to wearing hemp clothing and face studs. They sport cryptic tattoos, fall into spontaneous group hugs, and vape like mad on lunch breaks. The culture of the Los Angeles Psychedelic Science Symposium illustrated where the world of psychedelics finds itself in this transitional moment. Proponents are trying to bring legitimacy to a movement that got hijacked long ago by hippies, without alienating the hippies themselves. Fortunately, psychonauts have no trouble reconciling the different narratives; actually, they don’t worry about it. Everyone is welcome in an eclectic ecosystem still seeking its contemporary identity. As a steady roll of speakers held the stage, the back of UCLA’s Ackerman Ballroom was set up like a psychedelic science fair, with exhibitors displaying densely-worded, slightly inscrutable posters for psycho-chemical phenomena that would require the skills of a PhD to decipher. There were pamphlets and swag for everything from psilocybin-assisted retreats to post-journey integration services. There was even a giant, papier maché magic mushroom. This is the world of psychedelics as we find it today, a wacky place where academics hobnob with sound healers. The marketplace of ideas surrounding psychedelics is similar to that of cannabis before it went legal and pro: It’s still championed by the fringe, but any entrepreneur with an ounce of vision can see its staggering commercial potential. Even in our legal age, healing thyself still may involve committing a federal crime. By the close of the event we were all ready to go out and start microdosing. But therein lies the problem that surrounds all of this inspiring information. Psychedelics are still illegal, and the pathway to legality—or even ways to make these drugs more open to university researchers—appears long. There’s growing support among a number of communities for more research into psychedelics, but the drugs themselves are difficult for scientists to obtain. Healing thyself still means heading down a back alley to commit a federal crime. Whether the combined efforts of academic researchers and impassioned psychonauts will help ease restrictions was a widely shared concern at LAPPS—and one that may be years from resolution. street drugs instead of the real deal. I’m 61 and would do some more if I could find some. Sure do miss the good times! Always had fun & helped me appreciate life, you see things differently. No pun intended. A lot of customers at legal recreational marijuana stores are in our age cohort because they no longer know people who sell pot. I really enjoy smoking for creative pursuits. Travel to Amsterdam! Cannabis and Psilocybin are legal there. As they said in the armed forces, “Wipe that acid eating grin off your face”. But it was next to impossible to keep from smiling. Even when punished. Irresponsible, wrong and painful to read.